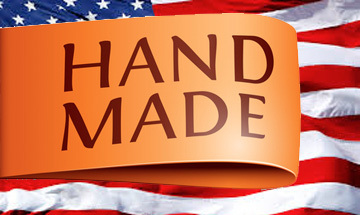 Located in the Wayne, New Jersey, Accent On Leather hand makes high quality varsity and letterman jackets. We have successfully proven to be the best at creating custom varsity and letterman jackets in-house for 10 years with the top of the line craftsmen and women to assure quality. 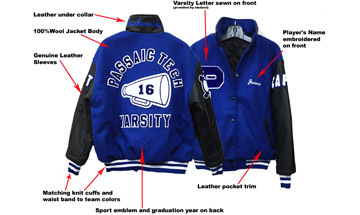 Varsity jackets are referred to as letterman jackets or letter jackets, awards jackets, baseball jackets and club jackets. There are many uses for these jackets. Sports teams, cheerleading squads, athletic associations, marching bands and coaches use these jackets to display their school pride. Today Fortune 500 companies, as well as small businesses, use these jackets to promote their company logos and brands. These wool and leather jackets have been given as awards and promotions. Our custom varsity jackets feature premium wool and supple top-grain leather. We use premium snaps and zippers in our jackets. Our jackets feature quilted linings. We offer custom embroidery. We also offer custom chenille letters, numbers and patches and chenille emblems. 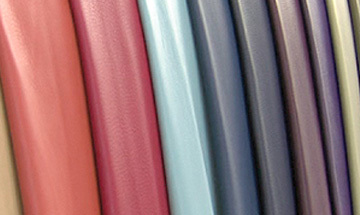 If you don't see your colors on our website, we can custom match any pantone matching system color. Small minimums are required on custom colors. Accent On Leather strives to be the country's #1 letterman jacket company with 100% Virgin Wool and 100% Genuine Leather jackets and unbeatable 4-6 week delivery year round! Why We Are The Better Jacket! Our hallmark fleece varsity jacket with top grain leather is made to last. It will help you celebrate the glory days of winning games and breaking hearts. Show you school pride for years to come. We measure each student and make the jacket to their individual measurements. We do not sell S,M, L, XL, we make a fully custom jacket, ensuring the perfect fit. From the biggest football player to the smallest gymnast, we create the perfect fit. Created by tailors in our Wayne, NJ facility. 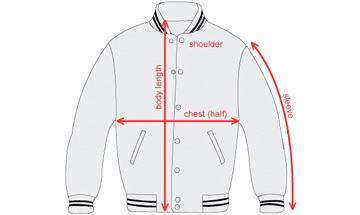 The measurements for each jacket are used to cut and sew the materials, building a letterman jacket that fits like it should. Craftsmanship at a reasonable price is our hallmark. 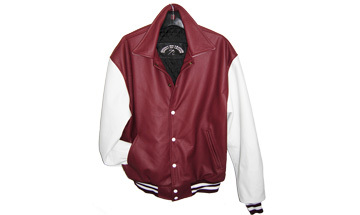 We offer high quality materials and craftsman ship along with these great features; 100% Wool Jacket Body, Genuine Leather Sleeves, Leather pocket trim, Leather under collar, Matching knit cuffs and waist, Player's Name embroidered on front, Sport emblem and graduation year on back, Varsity Letter sewn on front. We believe we are the only company offering an ALL leather varsity jacket. Set yourself apart from the crowd and upgrade to this beautiful piece of outerwear. We can match you team colors and replace the wool portion with genuine leather.